Plagued by sales reps calling at dinner time? Letter box groaning with requests for donations? It’s time to call out nuisance callers. Fed up with phone calls from sales reps flogging home ventilation systems or charity telemarketers demanding a donation? You’re not alone. Eight out of 10 consumers have been on the receiving end of unwanted calls from companies selling everything from pay TV to vacuum cleaners. For an unlucky 30%, the calls come at least once a fortnight. Phone and power companies are the most frequent callers. Hawkers of home ventilation and heating systems are close behind. And we’re sick of them. Eighty-two percent of consumers who get these calls don’t like them. We’re slightly more forgiving when it comes to phone calls from charities. In the past year, 59% of us have been phoned by a charity and 70% have got a letter asking for a donation. Two out of three of us who received these requests want them to stop. There are multiple ways charities and companies can find your contact details. 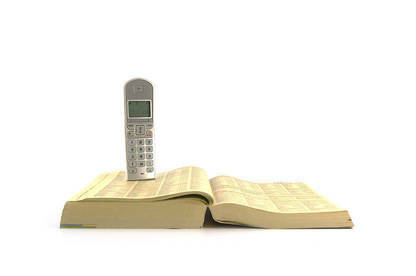 The old-fashioned phone book is the most obvious. The electoral roll and home ownership records are other publicly available sources of names and addresses. Anytime you enter a competition, fill out a warranty card or subscribe to a magazine, the company will probably add you to its marketing database. You might not know it, but your contact details may also be for sale by marketing companies which sell databases of prospective customers to anyone willing to pay. You may have unwittingly consented to this when you agreed to a company’s terms and conditions. Organisations collecting your personal information can’t share it without your permission, but this approval may be buried in their standard terms. For example, sign up with FlyBuys – and thousands have – and its terms and conditions state you’re giving permission for any company involved in the loyalty scheme to contact you. Charities may also buy or share mailing lists. So if you give money to one, you could end up on the mailing list of another. A letter Oxfam sent this year to people on its mailing list said “from time to time we may allow like-minded organisations to contact our supporters”. A donation form, included with the letter, had a box you needed to tick if you didn’t consent to your details being shared. Oxfam said it ceased sharing contact lists in 2015 and the letter was sent in error. It said it no longer shares donor data with other organisations. Getting on a marketing database is easy – so easy, you may not even know it’s happened. However, getting off one can be a lot harder than it should be. If you’re receiving unsolicited calls or mail, you’re entitled to ask the organisation how it got your details and to take you off its list. However, we get enough complaints to know you may have to ask more than once. If you want to protect your address details, one option is going on the unpublished electoral roll. You’ll need to cast a special vote in the general election if you’re on this list. You can also contact your phone company and ask for your number to be removed from the White Pages. Whenever you’re handing over contact details, keep an eye out for terms that mean you’re giving permission for your data to be shared. You may be given the option to tick a box making it clear you don’t want this to happen. To reduce the torrent, you can add your name to the “Do Not Mail” and “Do Not Call” lists run by the Marketing Association. It means you won’t get hounded by the 36 organisations that use its lists. But it won’t stop others – and it won’t stop scammers (see “Scam calls”). Getting on a marketing database is easy – so easy, you may not even know it’s happened. The “Do Not Mail” and “Do Not Call” lists are the industry’s response to consumer complaints. But our survey shows these voluntary schemes aren’t solving the problem. Across the Tasman, the government stepped in and set up an official “Do Not Call” register. It’s illegal for any company to call a number listed on this roll. The UK also has rules that can result in aggressive marketers being fined. We want to see similar rules here that make it an offence to ignore consumers’ requests to be left in peace. It’s not just home ventilation companies and charity telemarketers we’re putting up with. In the past year, 67% of consumers have answered the phone to a scammer. One in three get these calls at least once a month. Six percent of consumers in our survey said they’d lost money as a result of a scam. Among the cautionary tales is a man who lost $10,000 investing in a fake company and a woman who paid $500 for a puppy that didn’t exist. If you think you’ve been scammed, you need to act quickly. If you’ve handed over your bank details, contact your bank and immediately suspend your account. Fraudulent credit card transactions can sometimes be reversed. Being the victim of a scam can be scary and upsetting, but talking about it can help. Confide in a friend or family member who can support you. You can report scams to Netsafe, which can provide advice and alert others to the scam. How often do you get unsolicited calls from sales reps? How often do you get unsolicited calls from charities? How do you feel about getting unsolicited calls from companies? How do you feel about getting unsolicited calls from charities? Would you like to be able to stop unsolicited calls from companies? Would you like to be able to stop unsolicited calls from charities? GUIDE TO THE TABLES OUR DATA are from a nationally representative survey of 1511 New Zealanders, aged 18 and over, carried out in May 2018. Figures may add to +/- 100% due to rounding. If you think a telemarketer has treated you unfairly, or misled or deceived you while you were buying a product, you have protection under the Fair Trading Act and can complain to the Commerce Commission. If the telemarketer sends you goods that are faulty or aren't fit for the purpose you bought them for, that's a breach of the Consumer Guarantees Act and you're entitled to a refund. The Fair Trading Act also applies if you're cold-called by a telemarketer selling goods or services. The Act gives you a cooling-off period of 5 working days to cancel if you sign up over the phone but then change your mind. If you gave out personal information about yourself for one purpose and it's been used for another, you have grounds for a complaint to the Privacy Commissioner. You can also complain if you think an organisation has information about you but won't let you see it. The Privacy Act requires anyone collecting your personal information to tell you the reason it is being collected, what it will be used for, and who will have access. The Act also means you have a right to see any personal information an organisation holds about you. You should not be charged. If the organisation doesn't respond to your request within 20 days, or you believe it may not have shown all the information it has on you, or it fails to correct any mistakes, you can ask the Privacy Commissioner to review the matter. If you're called by a charity fundraiser, chances are the person on the other end of the phone works for a fundraising company, not the charity. If you are in doubt about whether a charity is genuine or not you can search the Charities Register. There is also a free information line: 0508 CHARITIES (0508 242 748). Registration as a charity is voluntary. However, only charities that are registered are eligible for tax-exempt status. A call-blocking device is being offered to consumers in a trial run by the Commission for Financial Capability. The commission’s manager of fraud education Bronwyn Groot said the device, developed by UK company Truecall, plugs into your phone. 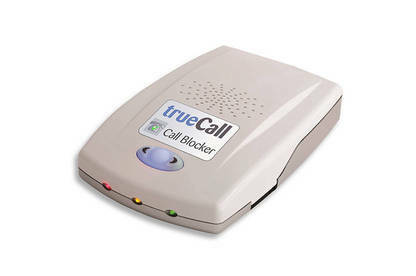 You can use it to create a blocked caller list. Callers from unrecognised numbers are asked to identify themselves before they’re put through. The commission has bought 25 units and is seeking households to trial them. If you’d like to participate, email office@cffc.org.nz. The device isn’t sold in stores here but for $235 you can buy one from the Truecall website. Most professional market research companies operating in New Zealand are members of Research Association New Zealand (RANZ). They operate to a code of practice designed to maintain high professional and ethical standards and to protect your rights. Those taking part in research by members of RANZ should be assured that their identity will not be revealed without explicit consent and that the purpose of conducting the interview is to collect data, not to sell anything – no sales approach will be made to them as a result of their having taken part. The researcher should identify themselves and the name of the company they are calling from. They will expressly state that they are conducting research or a survey. They should politely ask you for your consent to participate in the research exercise. They should give you at least a general idea of the survey topic. They should give you an indication of how long it will take. They should advise you if the call is being monitored for quality management purposes and give you the company's contact telephone numbers at the end of the interview. If requested, they should give you their supervisor's name and contact details. If you decline to be interviewed then they will not put any pressure on you to continue. If any of the above does not happen, they may not be operating under RANZ's code of practice. Are you calling me to conduct market research or will you try to sell me something? Can you provide me with the name of your company and contact details so I can verify that you are a legitimate research firm? Can you give me the phone number of your supervisor? These questions should be handled confidently by legitimate researchers or ethical sales people. I have no problem with these - if I'm feeling polite I just say "go away" and put the phone down immediately. If I'm not feeling polite I tell them to bleep off and put the phone down. With unsolicited calls at the front door I just say (firmly) "I'm not interested" and close the door. Two tips: Do Not Engage with these people, they are not your friends, do not allow them to start their speil. I have a security door on my front door which means I still have a barrier between them and me and I do not open the security door to speak to them. Simple!